Successfully Added Car DVR Black Box - 1080p, Motion Detection, G-Sensor, GPS Function, 2x Micro SD Card Slots to your Shopping Cart. Car DVR Black Box helps you keep an extra eye on the road especially as it has 1080p, Motion Detection, G-Sensor, GPS Function and two Micro SD Card Slots. 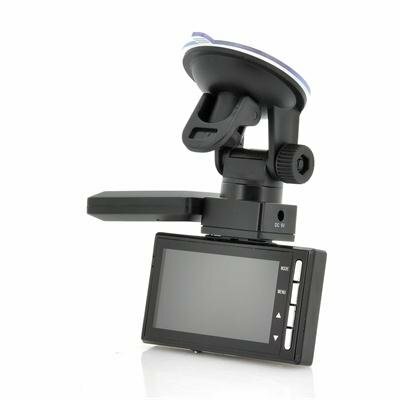 Boasting a 2.7 inch LCD screen, this car DVR black box fits in the front of your car on the windshield with the accompanying bracket. Once installed, other road users better beware of cutting you up or pulling out in front of you as this car DVR will capture it all as the 1/4 inch 3MP CMOS sensor will record it beautifully. With 1080p full high definition, the footage will look spectacular and can be played back on to other devices such as your TV using the HDMI cable that is also part of the package. The wide angle lens of the camera captures up to 120 degrees and there is also a built-in microphone and speaker to hear what is being said. The offender will need a very good excuse or a huge bribe to get themselves out of trouble because not only does this car black box camera record all action but it can also knows when to activate as it has motion detection and a G-sensor. There are two built-in micro SD card slots, which independently support up to 32GB of storage space, however together it mounts up to a whopping 64GB of storage space. Don’t take the risk; make sure all the action is covered with this wholesale car DVR black box. This product is in stock now, we guarantee next working day shipping and offer a 12 months warranty on all our products. Brought to you by the leader in electronic devices and wholesale Car DVRs, Chinavasion.